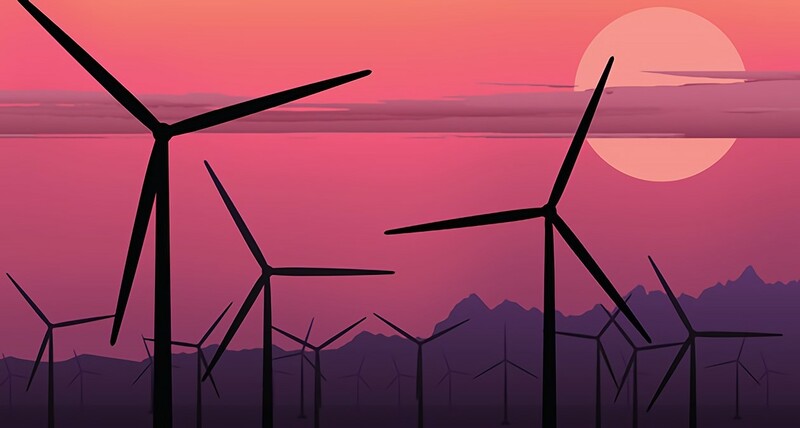 From the oil fields of Texas to the deserts of California, the wind power industry has been creating green jobs and helping the nation cut back on its consumption of fossil fuels. Texas leads the nation in wind capacity, breaking its own record with a peak output of 10,296 megawatts on March 26, 2014. That day, Texas wind farms generated enough energy to fulfill 29 percent of the state’s electricity needs, reports Climate Central. This record would not have been possible without the dedication of the welders, electricians, and other skilled workers who play an integral role in the windmill manufacturing process. Wind energy production may sound relatively simple, however, turning on the switch to start harvesting energy from this natural resource requires a significant amount of work, explains the Bureau of Labor Statistics. The process begins with the selection of a windmill farm site. Turbine structures can exert more than 1,000 tons of weight on the ground, so the site must be examined to ensure it can support this much weight. Once the area has been evaluated and approved, all necessary permits obtained, and roads created, the construction of the windmills may begin. Modern windmill farms are costly and complex to construct. Once wind turbines have been ordered, the manufacturing process begins. Workers involved in this process include individuals with welding training, assemblers, quality-control inspectors, and many others. Welding technology permeates the windmill component-manufacturing phase. Skilled workers weld cylinders of rolled steel together to form turbine tower sections. Since windmills have such a large stature, the tower, the blades, and the nacelle are produced in sections and assembled on-site, which also requires welding. After initial production, transporting the parts of the windmill to the farm poses additional challenges. Windmill component sizes may require the creation of customized railcars. Or, a third-party logistics provider may transport the oversized pieces to the site by truck. Upon arrival, skilled workers will be needed again to assemble the windmill. Once all of the pieces of the windmill have arrived at the site, the assembly of the windmill begins. Assemblers work to fit and fasten together the pieces of the windmill using hand and power tools, bolts and screws, and welding and soldering processes. Therefore, welders are once again needed in the creation of a windmill farm. Weld My World notes that welding also plays an important role in the maintenance of turbine plants and equipment. In addition to welders, individuals with electrician training are needed to install the wiring necessary to transfer energy from the turbines’ generators to the power grid on the ground. Tools used in this process include conduit benders, screwdrivers, and wire strippers. Welders, electricians, and other skilled trades men and women have been working on adding more than 7,000 megawatts of additional wind capacity across Texas since 2013. Only time will tell how soon Texan windmill farms will break their 2014 peak record again, but none of this would be possible without the skilled workers who help with each phase of creating these wind farms. While Texas leads the nation in wind energy output, it is not the only place to embrace this renewable power source. The Global Wind Energy Council indicates that about 670,000 people were employed by the wind power industry in 2012 and that this number could jump to 2.6 million jobs globally by 2030. The organization also noted that this industry is currently facing a shortage of skilled workers and engineers. Individuals who would like to join an in-demand field and help the environment at the same time may want to consider training to become a welder or an electrician. Tulsa Welding School offers programs in Texas, Oklahoma, and Florida. Contact the school today to learn more about starting on the path to an exciting green career.